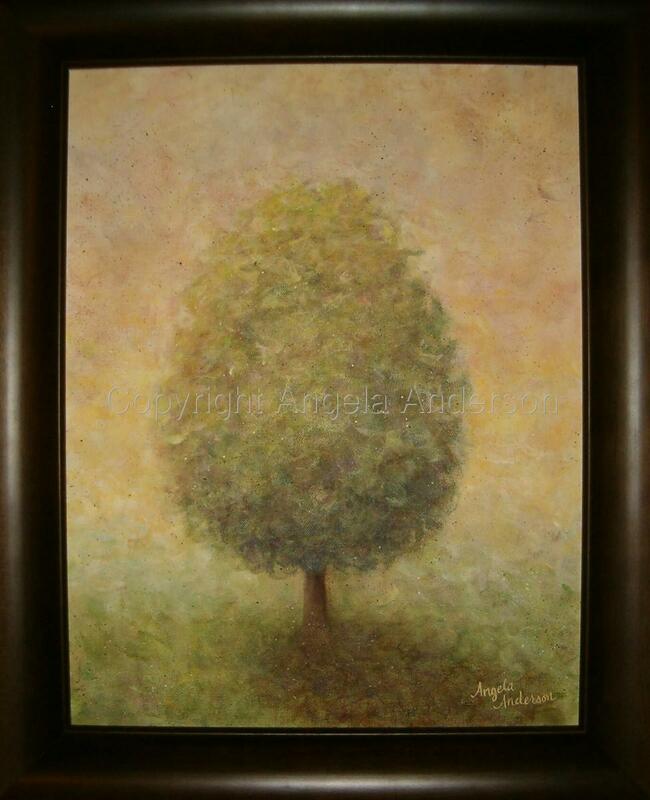 Soft blended colors on gallery wrapped canvas. In dark brown wood frame, (approx. 22" x 18" outer dimensions). Can be sold separately if desired.